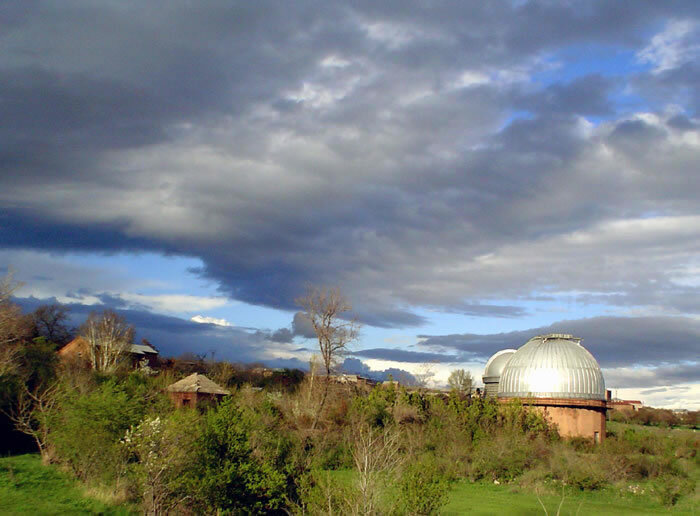 Byurakan Astrophysical Observatory after Viktor Hambartsumyan is one of the leading academic institutions, Academy of Sciences of Armenia. The observatory is located in the Aragatsotn in Armenia on the southern slope of Mount Aragats at an altitude of about 1500 m. By the way, name “Byurakan’” means a lot of springs, and, really there are a lot of springs there. The complex of buildings Observatory is an architectural monument. 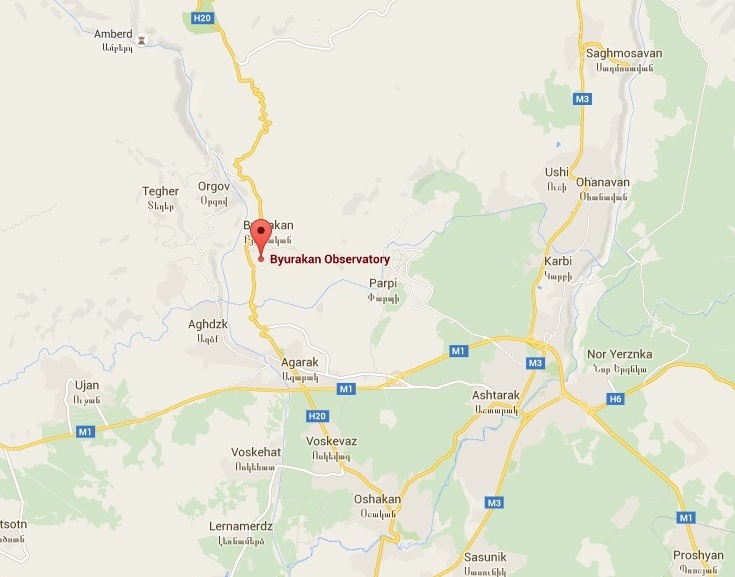 Byurakan Observatory was founded in 1946, on the initiative of a long time former director, prominent scientist, one of the founders of theoretical astrophysics Viktor Hambartsumyan. In 1950 his house was built in the territory of the observatory, and the scientist lived there till the end of his life. Today it is a museum with the great astronomer’s bronze portrait erected in front of it. 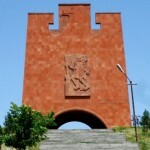 The birthday of the scientist – 18 September – is celebrated as the Day of Astronomy in Armenia. 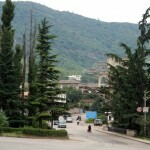 The year 2008 was declared as the Year of Victor Hambartsumyan’s by the UNESCO. 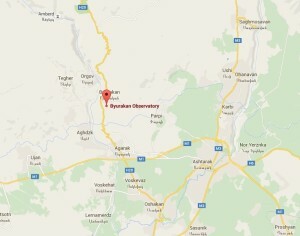 Thanks to Hambartsumyan and his works, Astrophysical Observatory of Byurakan is now one of the major astronomical centers and has gained high prestige in academic circles throughout the world. Official opening of the observatory took place only on September 19, 1956. The station Astronomical Institute after V. Sobolev (formerly AO LGU) was established in 1961 on the territory of the observatory. Currently, the observatory has five tools. The largest telescopes, 2.65-meter reflector telescope and a 1-meter Schmidt Telescope, are built in 1976 and are also one of the largest in the world. 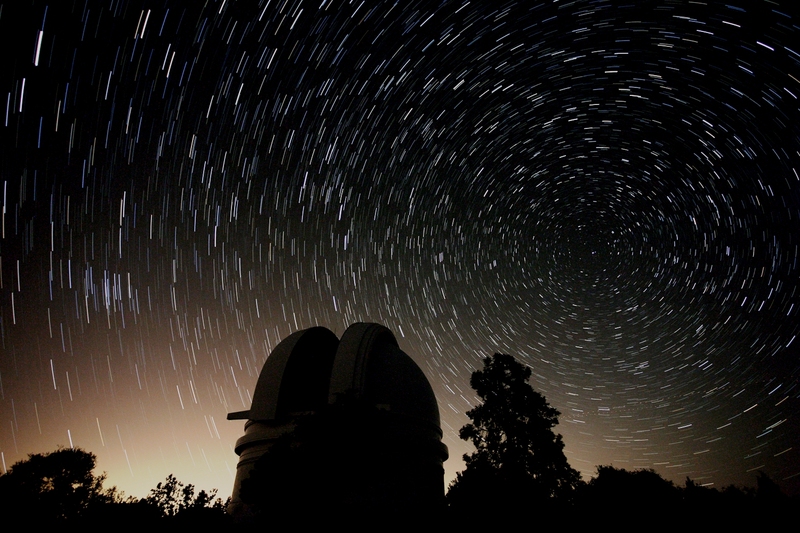 Other instruments – 53-inch Schmidt Telescope, 50, and 40-centimeter reflector telescope with electro-photometers. The architectural ensemble of the observatory consists of two parts – the functional part containing the telescope towers, administrative and laboratory buildings, conference hall, guest house, etc and the campus. The ensemble is designed by the famous Armenian architect Samvel Safarian. Besides the scientific research the observatory fulfils an informative activity and organizing excursions and lectures for amateurs. If you are lucky enough to be there in cloudless starry nights, which are favorable for astronomical observations, you will see a real magic. You can take a guided tour in observatory, which costs 2000 drams (about $4). It takes about 40 minutes to get to Observatory from Yerevan. 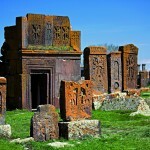 Among nearby the sights are Amberd fortress and Tegher monastery. Tegher monastery can even be seen from the observatory.